This year, the Festival will showcase 108 films from 32 different countries, including four features of which are world premieres and all Bahamian premieres. The four competition categories at BIFF are Spirit of Freedom: Narrative; Documentary; New Visions; Short Film and other categories are Panorama Narrative; Documentary and Short Films out of competition. Special sections include the Youth Film Workshop films made by five schools as well as a World Cinema showcase spotlighting Chinese films provided by the Chinese Embassy in The Bahamas. Andrew Melby and Reggie Henderson’s drama “Bahamian Son” has been selected as this year’s Opening Night Film and will kick off the Festival on December 5th, while Travolta Cooper’s documentary “The Black Moses” will have the honor of closing the 10th edition of the Festival on December 13th. Vanderpool adds "BIFF showcasing a documentary as the Closing Night Film is a first. As always, BIFF features quality films that tell stories dealing with current issues with global application. ‘The Black Moses’ is one of those films, providing a subjective commentary for people to derive their own opinion." In addition, a list of the 58 short films screening at the festival can be found online at http://bintlfilmfest.com/the_festival/film_guide/program/59. 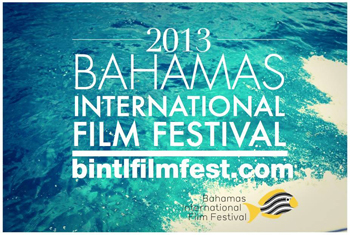 "We are ecstatic that our film ‘Bahamian Son’ will be headlining BIFF this year. Shooting a semi audio-biographical film was not easy and it had its challenges, but we had wonderful support from the Bahamian community during the making of this film,” said writer and producer of “Bahamian Son,” Reggie Henderson. “’Bahamian Son’ may be a small indie film, but it's big in heart and content. The Bahamas is not just a resort destination and it gives us great pleasure to share with the rest of the world what we've learned, which is The Bahamas is a beautiful island, rich in culture, history and tradition. What a great honor to be a part of BIFF!" adds Henderson. "It's been quite a journey producing ‘The Black Moses’ and for our little movie to be bestowed such an honor is encouraging and inspiring. Our production team is ecstatic. And I am personally overjoyed because BIFF has undoubtedly played a role in my career as a filmmaker giving me opportunities and lifelong mentors like filmmaker Malcolm Lee and producer Jane Schoettle,” said director of “The Black Moses,” Travolta Cooper. “And now to be afforded such an honor in the same tradition of films such as ‘The King's Speech,’ ‘Juno,’ or ‘Precious,’ which have closed this festival in the past, means more than I can express." BIFF 2013 kicks off on Thursday, December 5th and will run through Sunday, December 13th. For the second consecutive year, BIFF will be coming to Harbour Island (December 9-11) and Governor’s Harbour December (11-13), showcasing a diverse presentation of films from around the world accompanied by a group of local and international filmmakers. Additional announcements pertaining to the Festival will be made in the coming weeks. For additional information, please visit www.bintlfilmfest.com. “Bahamian Son” stars Constance Anderson (“Prodigal,” “Profile of a Killer,” “Gods’ Green Earth”), Fatima Cocci (“Gods’ Green Earth”) and Leah Eneas (“Beneath the Blue”). The film is based on true events, from the life of the film’s writer Reggie Henderson. The story follows Kevin as he sets out to find his father, whom he hasn't seen in more than thirty years. During his journey, Kevin examines his own life and the family he has built for himself, during his childhood, having growns up in the projects of North Minneapolis. After Kevin tracks down his father, he travels to The Bahamas to meet him. What happens in The, opens Kevin's eyes to a world and a history he never knew existed. It is also another test of Kevin's beliefs regarding family, loyalty, and what it means to be a son, a father, and a man. Written and directed by Travolta Cooper (“Children of God,” “A Miami Trail”), “The Black Moses” takes a look at Was L.O Pindling, first black Prime Minister of The Bahamas, one of history's greatest national Liberators, or was he one of history's greatest national Drug Dealers? The film follows the popular folk 'moses mythology' as it was manifested through the life and times of Sir Lynden Pindling. It focuses on L.O Pindling as he sets on a course to bring about social, political, and economic revolution to the British Bahama Islands. The film features Golden Globe nominee Dennis Haysbert (“The Unit,” “24,” “Wreck-It Ralph”) as Black Moses and commentary from the 18th Prime Minister of Canada Brian Mulroney, civil rights activist Jesse Jackson, and many others.